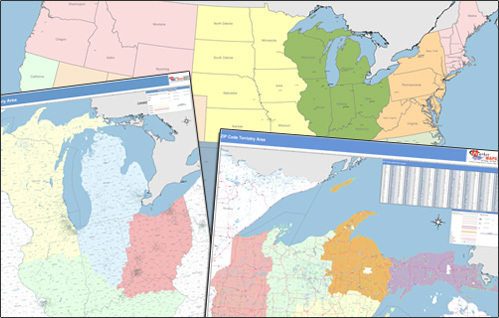 For nearly 25 years, we have been creating franchise and sales territory maps for thousands of businesses, international and local, the largest and smallest. We create the maps you need, when you need them! Proof Your Map with Satisfaction Guaranteed! Territory Maps as FAST as SAME DAY! 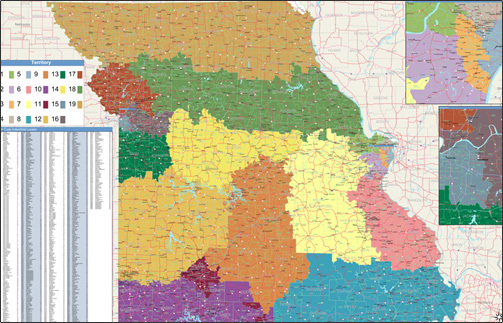 Every sales territory map we create is customized to your specifications. 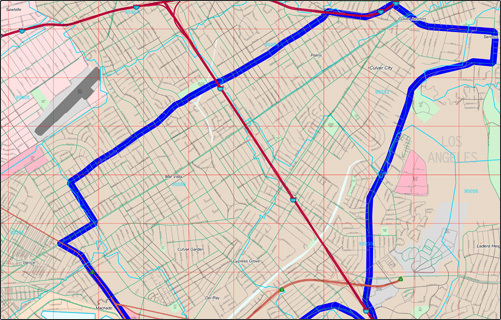 The maps are designed to your purpose, use and audience, and how they are being used. 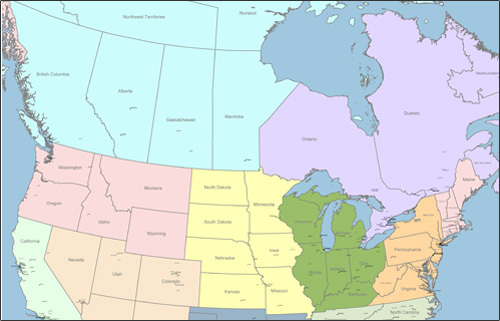 SalesTerritory.com gives you the choice of printed maps from letter size to 9x12 foot wall maps; map books and atlas; digital maps; and maps for your web applications. 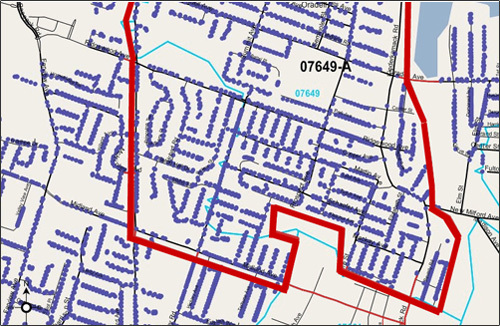 Is there a hierarchy of territories, districts, regions, delivery zones, markets and more? We can send you a proof of the territories for you to verify. By territory, district, region, delivery zone, etc. 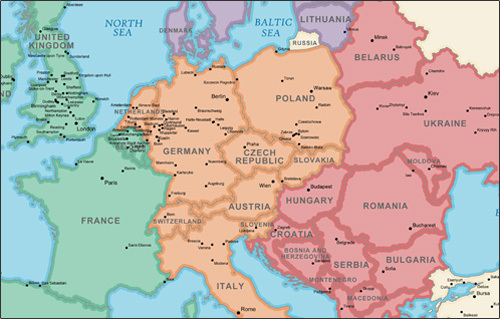 Sales Territory Maps present critical information with great visual impact. We want you to see the map before it is completed to make sure it is perfect! 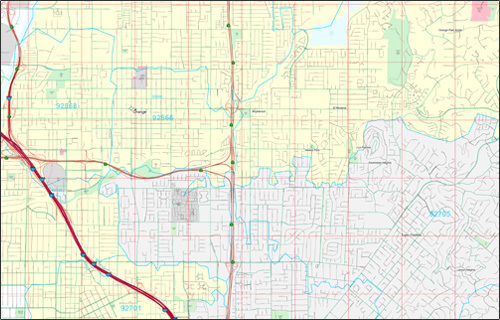 Our Digital and Printed Proofing Process lets you review every map to make sure it is exactly what you need. Our Business Map Making Team is here for you...they are your Mapping Department! They create the maps you need, when you need them! 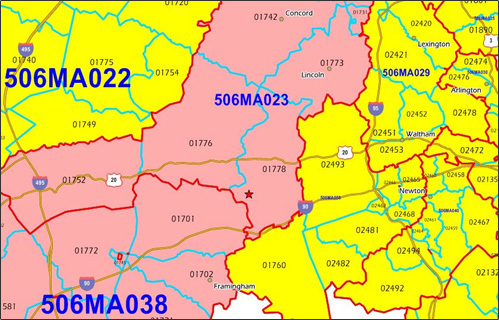 Account Development A national trucking company uses territory maps with customer locations to manage account development "clusters"
Lead Referral The Call Center for a national professional training organization uses Territory Maps to assign leads to the right sales person. ©Copyright 2019. Intelligent Direct, Inc.